DNS Accountants is an Accounting, finance, and taxation consultancy firm that helps its clients with all of their financial queries and requirements. We set our foot in the accounting sector in 2005 and since then there has been no looking back. At present, we are one of the top 10 contractor accountants in the country. Since our inception in 2005, we have been nominated for 4 awards including The British Accountancy Awards 2013; Independent Firm of the Year South East England; Accounting Technician of the Year; Online Accountant of the Year and Client Software Product of the Year award. In 2010, we launched our own cloud-based accounting software for contractors and small businesses. Finally, in 2011, we moved into our current Headquarters in Harrow, North West London. 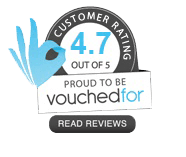 We became IPSE Accredited Accountants in 2015. Our team of experts is all well qualified and specialist in their field of practice. We provide our clients with exemplary services including Accounting Compliance and Tax Advice, Business Growth System Dedicated Account Manager, and Smart Cloud Software amongst many others. Our contractor accountant fees are among the lowest in the country. We offer a full range of accounting services for entrepreneurs, small businesses, and start-ups. We understand all the challenges faced by small businesses, both in the start-up phase and beyond. We help them select the correct setup and user-friendly accounting software that assist them to make the most of their limited budget. In addition to offering the full range of accounting services, VAT, and payroll services, we also help you develop a good business for sustainable business development. We help you access to bank funding and external investment as and when needed. We regularly research the issues faced by small firms that help us formulate strategies for the organization’s performance. We provided highly qualified and experienced Chartered Accountants in Surrey to handle all your intricate problems. Our experts provide you with excellent advice and alternatives for continuous business growth. Our chartered accountants have their expertise in corporate finance, industrial finance, corporate tax, legal requirements, corporate law, and various companies’ acts. They cover different aspects of financial work including continuous management of financial systems and budgets, providing financial advice, liaising with clients and providing financial information and counseling. We also review the company system, analyze risks, advise clients on tax planning and tax issues associated with business, acquisitions, mergers and collaborations. Our Charted Accountants also provide consultancy on areas of business improvements and help clients dealing with bankruptcy. They also assist in producing reports and financial statements including monthly and annual accounts and also contribute to forecasting the financial prospects of the company. Our experts also extend help on matters relating to tax and treasury issues. Furthermore, they help in negotiating the terms and conditions with the suppliers too. When starting any new business in the UK, you need to setup a UK business bank account. DNS Accountants help you find the best bank for this purpose and take care of all the formalities. 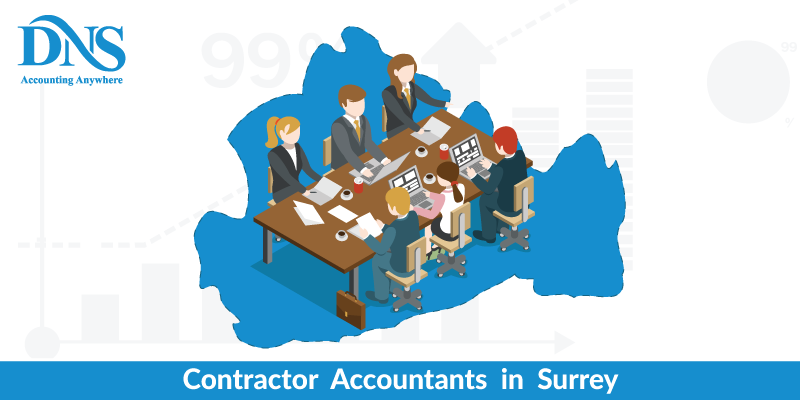 Below is the list of all the main services provided by DNS Accountants in Surrey and nearby areas of Guildford, Reigate, Leatherhead, Reading, and Maidenhead.